Birmingham, Alabama is home to multiple state parks and outdoor venues such as Birmingham Botanical Gardens, Oak Mountain State Park and Birmingham Zoo. Alabama’s beekeeping industry is also strong, and it’s supported by the Alabama Department of Agriculture & Consumer Services, Plant Industry Division, Plant Protection Section, and Apiary Services. Mountain Sweet Honey Company is committed to offering our Birmingham customers superior honey bees, beekeeping supplies and industry-leading customer service. Our apiaries are in the beautiful northeast Georgia mountains, and we ship bees on a weekly schedule from mid-March to May. Whether you’re an experienced Birmingham beekeeper or just starting out, we have all the beekeeping supplies you need. It doesn’t matter if you’re a beginner beekeeper or if you have hundreds of hives, we have all the high-end supplies you need to maintain a healthy hive. We are also the #1 shipper of Italian bee packages on the East Coast. Our experienced customer service representatives will help you determine exactly what supplies you need, and the best ship date for your bees. We proudly offer Langstroth bee hives, which is the most common hive body in the United States. We locally manufacture our own bee hives with premium wood from New Hampshire and use American-made products. Each hive is manufactured with a focus on value and quality craftsmanship. A Langstroth hive allows beekeepers to utilize the science of beekeeping. We have 3 lb package bees, nucs, and bee hives for sale. If you’re a beginner and need advice on beginning beekeeping, you’re a professional beekeeper needing top-notch supplies – or you fall somewhere in-between, we can help. We are expert shippers of packaged bees and have always utilized organic management practices when growing our bees. All our bees are inspected by the Georgia Department of Agriculture and will have a Georgia Department of Agriculture Health Certificate stapled on the outside of the shipping crate. We understand the logistics of safely shipping honey bees; it’s what we do. But we care about our customers’ investment, so we always insure our shipments for clients just in case. We currently have packaged bees for the 2019 bee season and have multiple dates available for shipment. We proudly offer Italian honey bees and all our bees are shipped properly, promptly, and with great care. 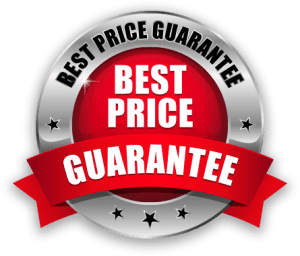 You can rest assured when ordering your bees from Mountain Sweet Honey Company that your bees will arrive to your home or business promptly and they will be healthy. No matter your experience or number of hives, we offer a complete line of bees and beekeeping equipment. Our product line includes hive tools, extractors, and protective clothing which are essential for beekeeping. Our beekeeping equipment also includes 8-frame or 10-frame hive bodies, frames, foundation, screen or solid bottom boards, and telescopic covers. We have all the bee health essentials for honey bees. If you’re a beginner, we offer first-year hive kits that have all the necessary equipment for a successful and productive bee hive. It’s our goal to keep prices affordable while continuing to offer top quality, organic-friendly supplies for Birmingham beekeepers, which is why we offer free shipping on orders more than $150. (Select items not included.) You can also find bee health items in our shop including essential oils (tea tree, lemongrass), pollen, mite treatments, and supplements. We are passionate about bees and are lucky that we can raise and sell bees full time. 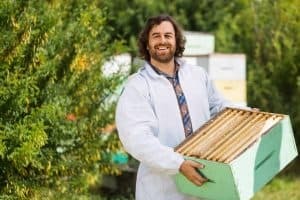 A hobby turned into a business when we recognized the demand for chemical-free bees and high-end beekeeping supplies. Over the years we have stayed true to our mission of supplying Birmingham beekeepers with chemical-free bees and American-made products. We always execute our orders with outstanding customer service while following through with our purpose to offer high-quality bees and beekeeping equipment, and informational advice for new and experienced beekeepers. A year ago, Mountain Sweet Honey Company was deemed the #1 shipper of honey bees on the East Coast and in the Midwest. We attribute our growth to three things – loyal repeat customers, our knowledge of safely raising and shipping honey bees, and our dedicated employees. If you’re a beginning beekeeper, advanced, or just interested in learning more about what it takes to be a beekeeper, contact us today at (706) 886-1322 and our customer service representative will assist you.